The Métis have always been a community-minded people, concerned with their social, cultural and economic development. Today, the Métis Nation Homeland has many educational and cultural organizations offering a wide array of services to the Métis and larger communities. The oldest Métis cultural institution is the Union Nationale Métisse Saint-Joseph du Manitoba, which was founded on July 17, 1887, in St. Vital, Man. In 1891, the group erected a monument at Louis Riel’s grave in St. Boniface; in 1909, they installed an altar to honour St. Joseph, the Métis’ patron saint; in 1910, they created a Métis national flag, which has a white background with a Union Jack in its canton and three gold fleur-de-lis in its fly; and later, they founded a history committee to counter the anti-Métis bias in many Canadian history books. The organization continues its cultural work, including hosting a pavilion during the Festival du Voyageur, which is held every February in Winnipeg, and through the production of cultural resources. The Gabriel Dumont Institute, incorporated in 1980, is the Métis educational, cultura, and training institution of Saskatchewan’s Métis. An affiliate of the Métis Nation–Saskatchewan, GDI is a non-profit educational and cultural organization with its head office in Saskatoon. 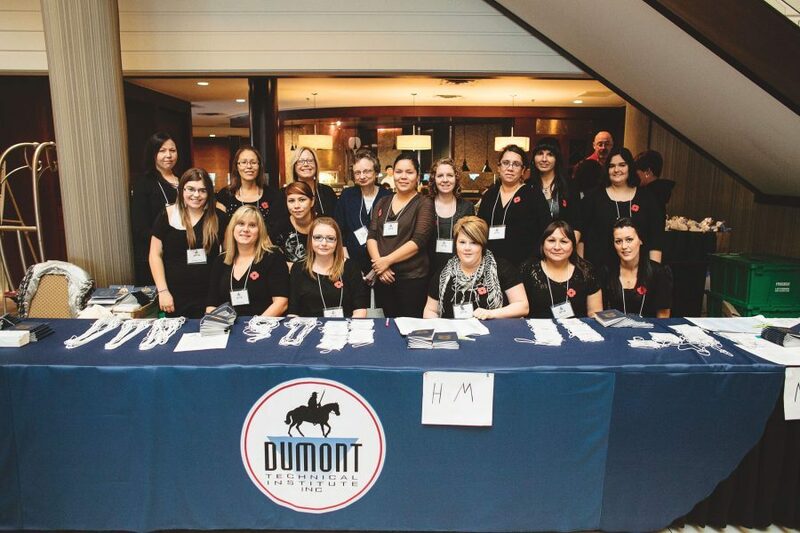 GDI operates many programs and services, including the Saskatchewan Urban Native Teacher Education Program, Gabriel Dumont College, the Dumont Technical Institute, Gabriel Dumont Institute Training and Employment, the Gabriel Dumont Institute Scholarship Fund, and the Publishing Department and GDI Press. GDI is a national leader on issues relating to Métis education, training, culture, and history. 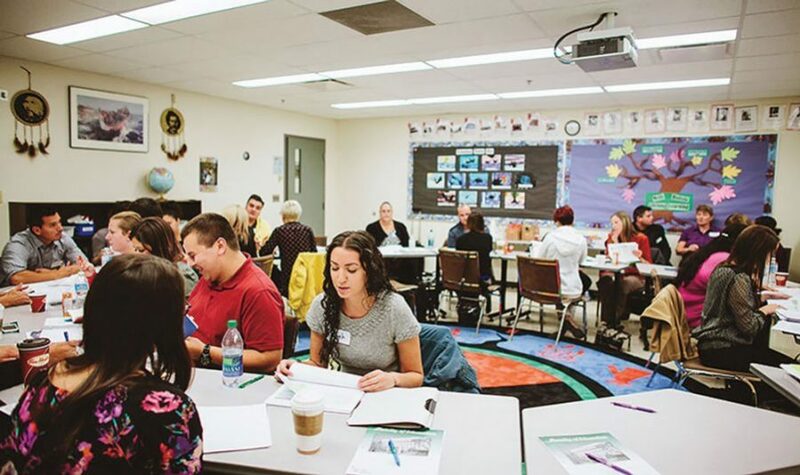 Since its inception, GDI has educated over 1,200 Métis teachers, and has trained and educated thousands of Métis who have contributed immensely to the Métis and larger communities. Its publishing division, GDI Press, has published more than 250 Métis-specific books and other cultural resources. Many GDI Press books have been translated into the Michif language, and many of them have been award winners. The Gabriel Dumont Institute is a national leader in Métis education, training, culture and history. Students at work at the Gabriel Dumont Institute in Saskatoon. Pemmican Publications, a program of the Manitoba Métis Federation (MMF), began operations in the 1980s after a merger between Éditions Bois-Brûlés and The Métis Press — two Métis publishers. While a dedicated Métis publishing house, Pemmican Publications also publishes First Nations and Inuit authors from Manitoba. Pemmican Publications has published more than 150 books in all genres, including the first edition of the acclaimed book In Search of April Raintree by Beatrice Culleton Mosionier, as well as highly popular illustrated children’s books. Pemmican Publications has also published numerous non-fiction titles, notably The Métis Legacy series (with GDI Press and the Louis Riel Institute) and The First Genealogy of the First Métis Nation. The Métis Culture and Heritage Resource Centre Inc. in Winnipeg specialized in producing Métis cultural resources and conducting genealogies for Métis community members. It was founded in the early 1990s and operated until recently. A non-profit organization with very little funding, the centre was well-known and highly regarded in the Métis community. With its large body of volunteer workers, it was an important Métis cultural hub in Winnipeg. The Louis Riel Institute, founded in 1995, provides education upgrading and vocational training to Métis in Manitoba. An MMF program, the institute also has a cultural mandate to promote and preserve Métis history and culture. It holds Métis cultural workshops across Manitoba and has published a number of books and learning resources, often in conjunction with GDI. The Rupertsland Institute — Métis Centre of Excellence, founded in 2010, is an Alberta-based education, training and research institution. Its board of governors includes representatives of the Métis Nation of Alberta provincial council, the University of Alberta and other community stakeholders. Its primary partners are the MNA and the University of Alberta’s faculty of native studies. Labour market research for the institute is conducted by the university in order to develop effective skills training and capacity building training within Alberta’s Métis community. RLI works to encourage the educational development of all Métis in Alberta, from preschool to post-secondary education institutions. It also provides scholarships and bursaries for Alberta Métis. The Miywasin Centre in Medicine Hat, Alta., also provides Métis cultural and housing programs and counselling services to Métis community members. Miywasin’s programming is year-round and includes an annual music and dance cultural festival known as the “Hills are Alive,” which is held in the nearby Cypress Hills. The Michif Cultural and Métis Resource Institute was founded in 1991 by former senator Thelma Chalifoux. It is located in St. Albert, Alta., and maintains a museum and a resource centre that focus on Métis cultural workshops. Various other Métis groups, including political locals, have Métis resource rooms and often offer cultural programming to their members.